CCN has Forest Stewardship Council Certification and offer FSC® certified core, veneers and solid wood. We also have MAS Certified Green. 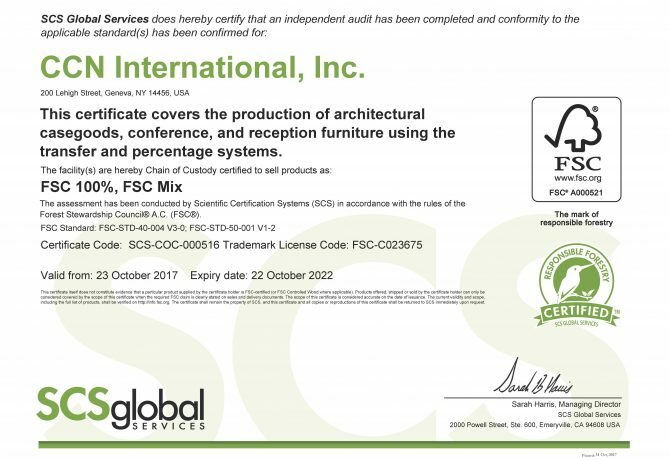 Specifiers should indicate that FSC or MAS is a requirement so that projects and products are quoted and supplied with appropriate materials.